I considered many different options for publishing this book, including approaching another publisher, though I prefer to publish in house through earlygaelicharp.info. Normally, one would use a commercial printing company to make and bind the books, but a conventional printers needs a run of 1000 to make economic sense – the setup costs are high in relation to the cost per unit. I was not sure this made sense for such a niche specialist publication. I also considered using a print-on-demand company. These will print and bind one copy at a time for you – Lulu is perhaps the best known, though there are others who focus more on the needs of small publishers. However a big problem with these is the cost of shipping the printed books from the company; what you gain in flexibility of being able to order small numbers, you lose in the economy of scale for delivery. In the end I have decided to keep this book entirely in-house, and it is being published as a hand-made book. Below you will see a photo of the first batch being assembled in my workshop. 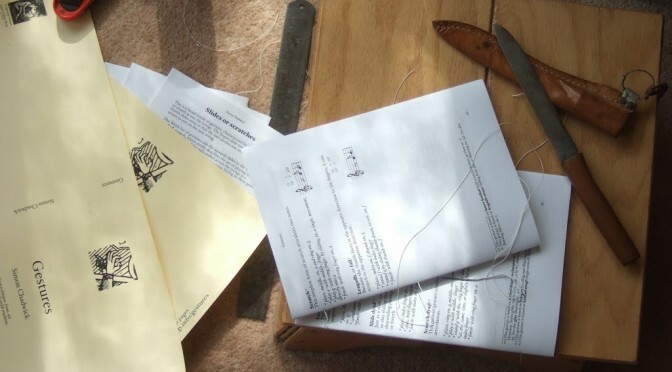 The big advantage of this method is that it gives me complete control over the design of the binding – in this case it is traditionally hand-sewn to make sure that the book will easily open completely flat – an important consideration for a music book, that will be placed on a music stand. 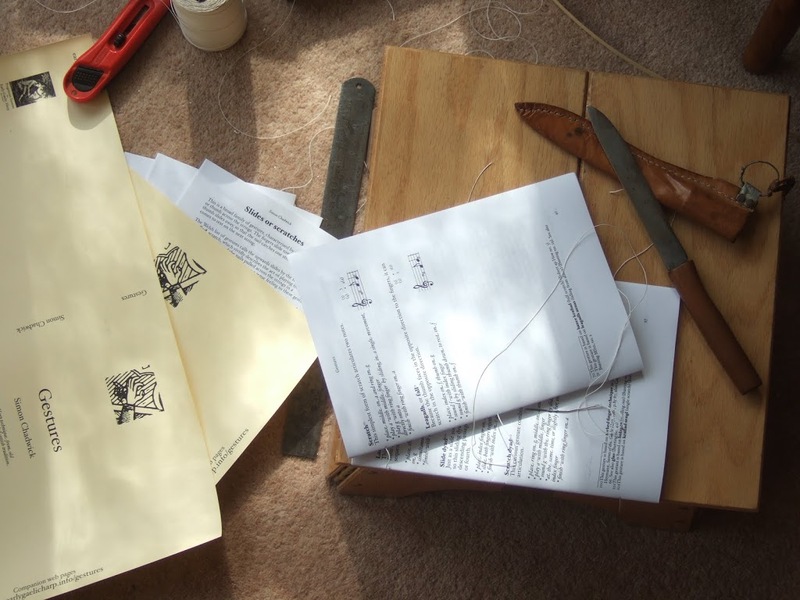 Anyway, I enjoy bookbinding as much as book design and writing! One question that regularly comes up is how one deals with grace notes and ornaments. 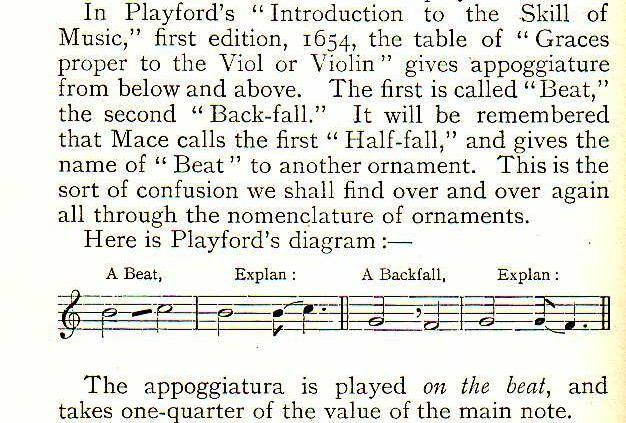 In the Gaelic harp tradition we have the system of left hand gestures published by Edward Bunting in 1840 (online edition), and in the Welsh harp tradition we have the ‘alphabet to learn the pricking’ on p.35 of the Robert ap Huw manuscript (online facsimile). 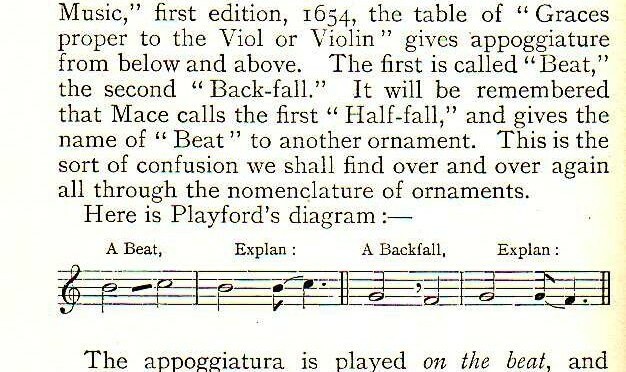 These describe series of notes that are played as a single fluid connected motion, and which are often treated as ‘grace notes’ preceeding a ‘principal note’. 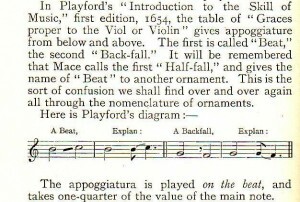 Two questions immediately arise; how quickly to play them, and whether the accent and stress should lie at the start of the sequence, with the principal note displaced, or whether the ‘grace notes’ should be played before the beat. The time taken in playing gracenotes is not counted when reckoning note values in a bar. They are supposed to take time from the note immediately following. To my mind and ear, these clusters of notes have a consonantal, rhetorical function, creating a crunch of dissonance on the beat or pulse which resolves a moment later into the sustaining melody note. Playing these auxiliary notes before the beat completely removes this dissonant, consonantal sound, and replaces it with an effectively un-ornamented music filled with dance-like upbeats.